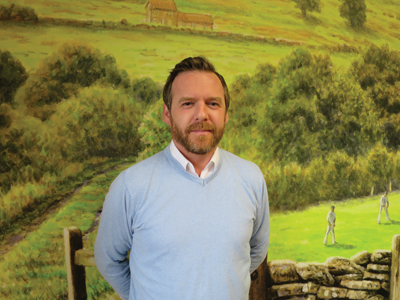 Darren Grealy (pictured), senior wholesale manager at Taylors of Harrogate, suggests that cash & carries complement in-store offerings with online fixtures. How are you looking to develop your business through the cash & carry/delivered wholesale trade? The C&C/delivered wholesale channel represents a real growth area for us and one where we see plenty of opportunity for the years ahead, especially as channels continue to merge. Hot drinks have mass appeal for the full range of consumers across all sectors, and therefore we want to reach all shoppers with our core retail SKUs. Convenience retail fascias are key drivers of our core products, Rich Italian 227g coffee and Yorkshire Tea 40s and 80s. One of the biggest developments we’ve made this year is deciding to move away from a One Cup product. We wanted to ensure that all of our customers were getting a proper, consistent brew both in and out of the home. Yorkshire Tea is now the only major standard black tea brand to offer the same strength across all its products after we increased the tea bag weight of our One Cup lines to match our retail offering. This is a first for the industry and something which we’re extremely proud of. What are the key trends in tea and coffee and do you find that C&Cs/delivered wholesalers act on these? Decaf continues to drive growth in the tea category, in line with consumer trends for low-caffeine options, with value up £150,000 in the last 12 weeks (IRI). We have a 23% market share and Yorkshire Tea is now the UK’s No.1 decaf tea brand. Consumers want more from their hot drinks and expect to see a range of products over the standard instant coffee or black tea bag on shelf, even for top-up shops. As well as reducing caffeine consumption, there is a real desire for premium quality products, especially those that are affordable and easy to use. Stocking a number of good options, including a quality black tea, decaf, fruit and green flavours, and roast and ground coffee, will all meet this need. We would also like to see more collaboration with suppliers. As technology evolves so do consumer needs, so complementing in-store offerings with online fixtures would be a brilliant idea. After all, the smartphone is almost a fixture in its own right. How can cash & carries improve their sales of tea and coffee? Again, I believe that online availability is key, as is running promotions at the right time. Are there any cash & carries or delivered wholesalers you wish to highlight as being particularly progressive? I think that Today’s Group has been very progressive over the last two years, as has Parfetts. Both are open to new ways of thinking and that is reflected in the growth we are seeing. Can you outline an initiative with a wholesaler that has boosted the sales/profits of your products? We all know tea and biscuits go hand-in-hand, so we approached Parfetts towards the end of last year to run a link deal with our 40s SKU and a large biscuit supplier. This was very successful and we’ll be rolling the same deal out to other wholesalers in the near future. Can you share any news relating to forthcoming product launches? For tea, our move away from One Cup products is near completion and we’re supporting the channel in getting the word out. Yorkshire Tea has created a host of free PoS resources, which are available to order through our website. These include Yorkshire Tea bunting, strut cards, window stickers and wipe-clean ‘How to make a proper brew’ posters. Taylors has also introduced six new flavours to its classic range of speciality teas for the out-of-home market. Pure Green Tea, Green Tea with Mint, Classic Chai, White Tea, Ceylon Tea and Apple & Cinnamon are available in boxes of 20, six to a case. In coffee, we’ll be expanding our range of coffee bags to include new formats which will be suitable for foodservice and caterers, as well as the convenience channel. Is there anything else our readers should know about Taylors’ operation or strategy? Taylors of Harrogate is a family-owned business, which means we take a long-term view. We’re building a sustainable business that will thrive for generations to come. We are determined to have a positive impact on the people and communities that we come into contact with, whether that’s by improving the livelihoods of the people that grow our tea and coffee or by planting millions of trees around the world.